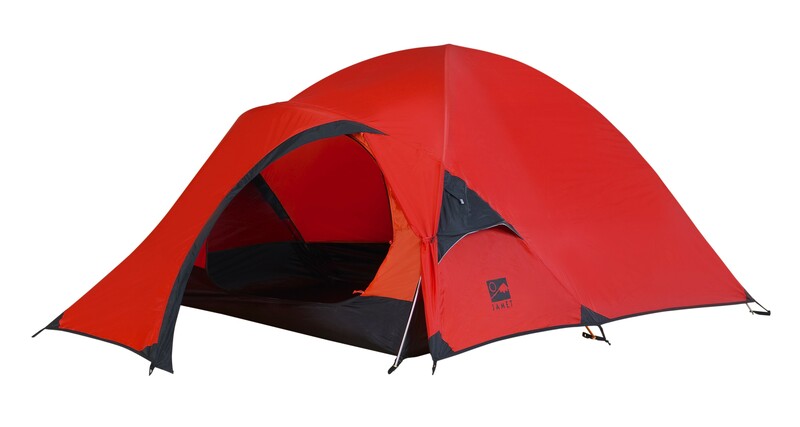 A mountain dome (like Stan's bonce) tent from Jamet, featuring a robust semi-geodesic cross over pole design with porch extension pole, offset entry door to the front and standard 'J' door to the rear (which will allow you to enter and exit the tent away from the worst of the weather). 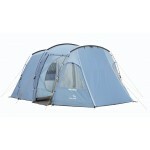 The Jamet Keira 4000 has 3-aluminium poles and Ripstop PU coated polyester fly with a hydrostatic head of 3000mm. 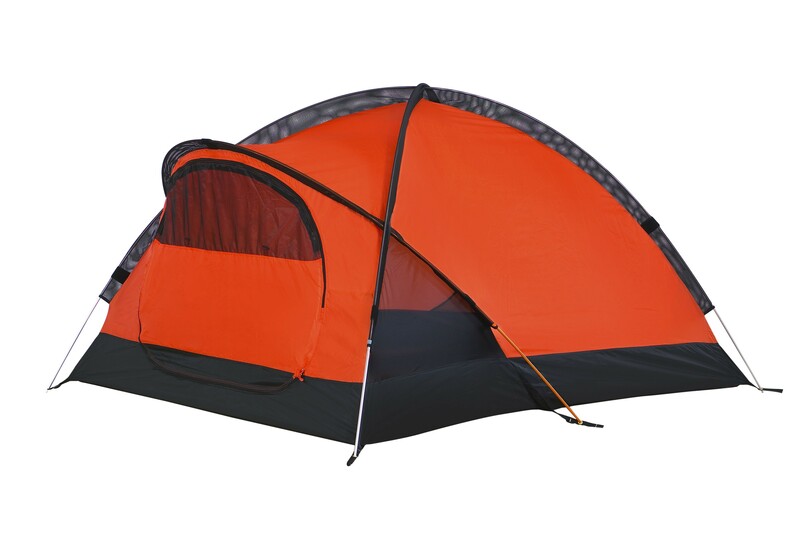 The materials used is the construction of this tent make it light and the pack size relatively small for a 2.5-3-berth tent making it ideal for backpacking and mountain expeditions. 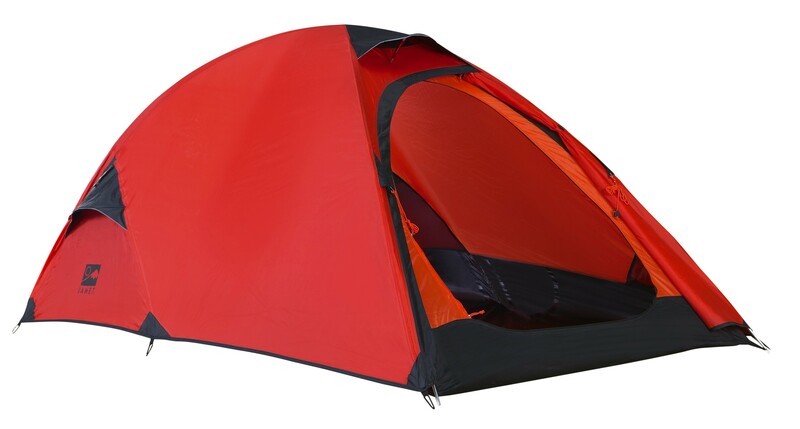 The inner first pitching means that you could just pitch the inner only in hot weather conditions (see image with inner only pitched). 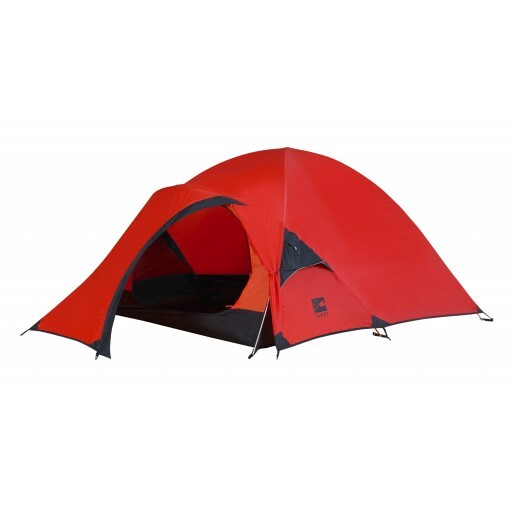 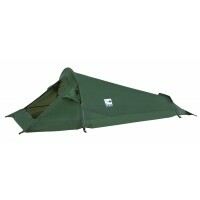 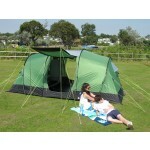 Other features include, double entrance doors, polyester Taffeta groundsheet (5000mm hydrostatic head), breathable polyester inner with ½ mosquito net doors, 2 vents, front storage area, 3 alloy poles - 8.5mm, alloy pegs, storage pockets, lamp attachment, webbing buckles for skis, reinforced guying points. 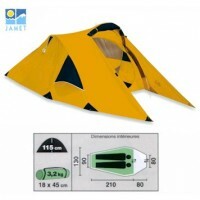 Jamet Keira 4000 Mountain Tent.